Ready to Live like Royalty for the Day? The Crazy Castle Fun House features Heightened, Castle Spires and incorporates the Magic of Party Decor Colors with Shades of Red, Yellow, and Blue. 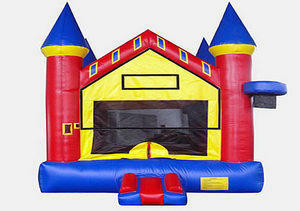 This Fun Jump Castle will appeal to both Boys and Girls of all ages.